This charming cabin has lots to offer a small family or a group of friends looking for a cozy place to get away from it all. 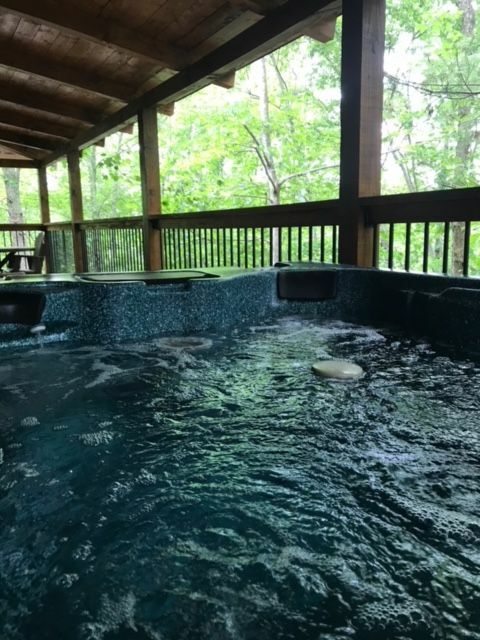 Featuring 2 King size bedrooms, 2 full baths, a large dining and living room area, a full kitchen, a loft sitting area with pool table and video arcade game, and a 6 person hot tub. 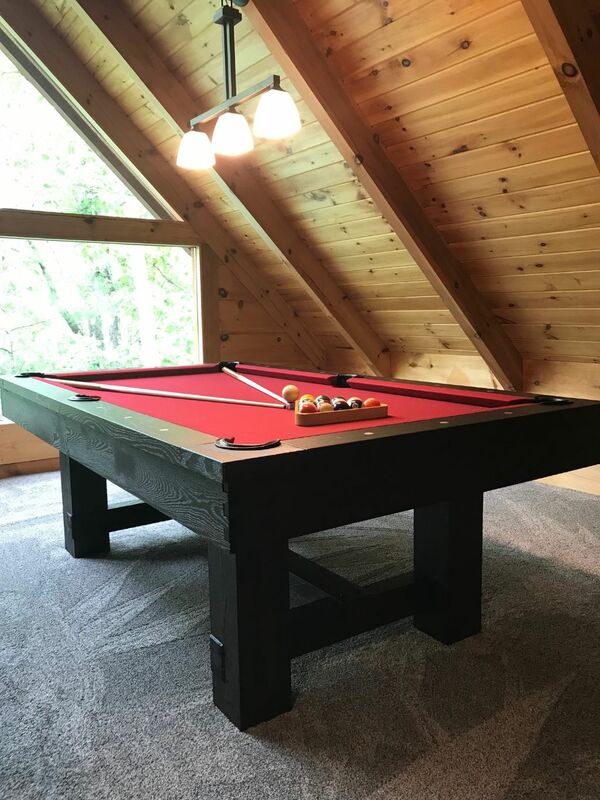 Timber Top has just enough space for privacy and together time! 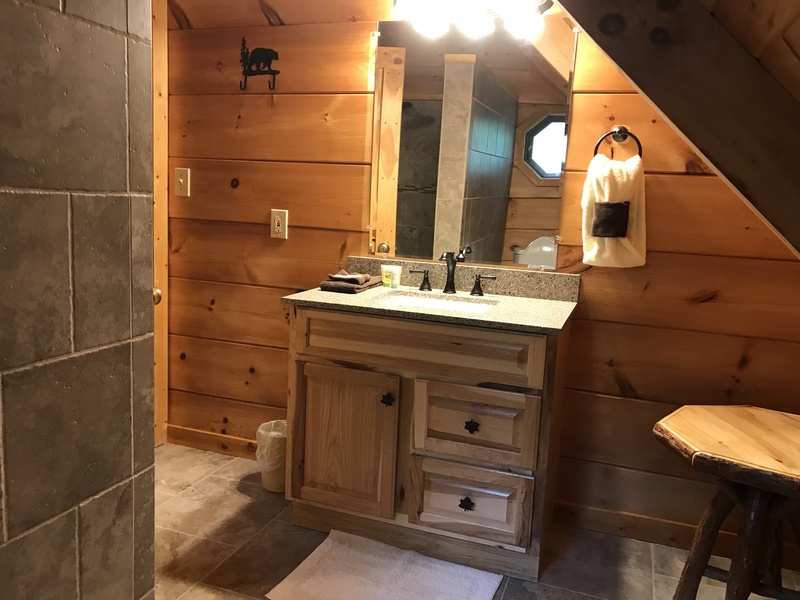 Other remarkable features of this cabin are a stone gas fireplace, a covered porch with rockers, a Jacuzzi tub, and a washer and dryer. 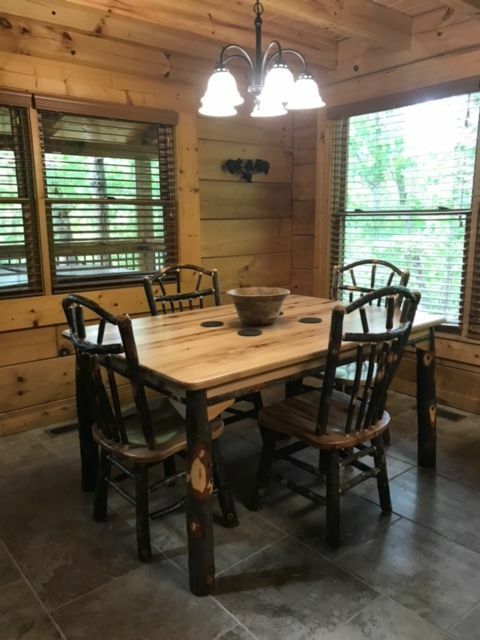 This cabin is 1/2 mile from the Pigeon Forge City limits but still very convenient to the National Park, the best of both worlds. As always, we enjoyed our stay. 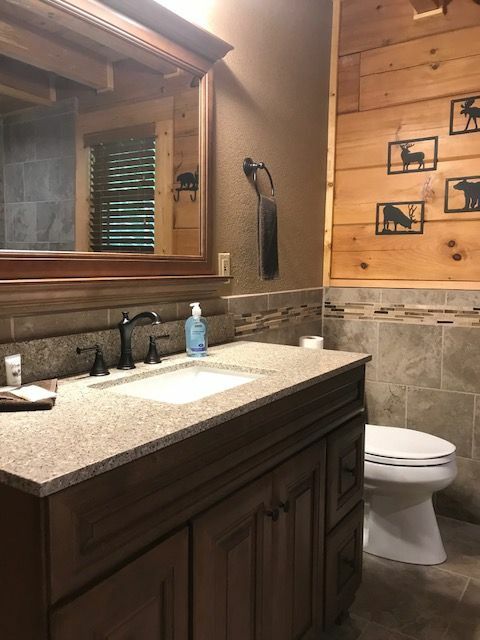 We especially like staying in your cabins. We like being up on the mountain-it's quiet and relaxing. 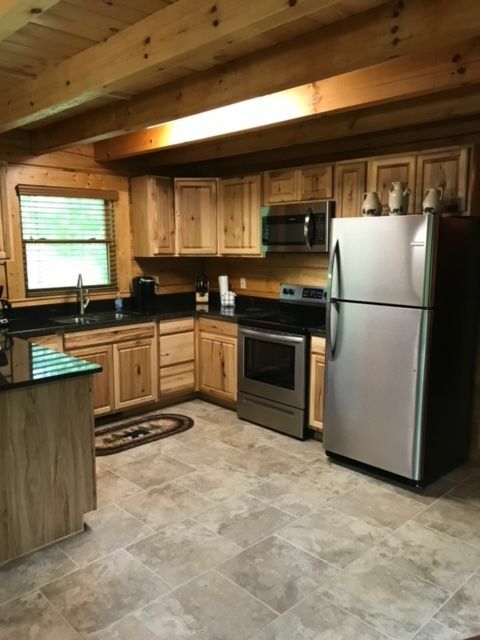 We loved the updated cabin. Everything was clean and comfortable. 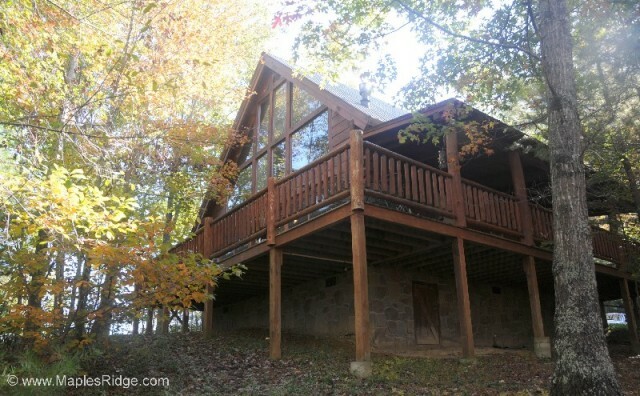 Everytime we come to the Smokies we stay with Maples Ridge, and we plan to continue! We are always telling people about this friendly company. 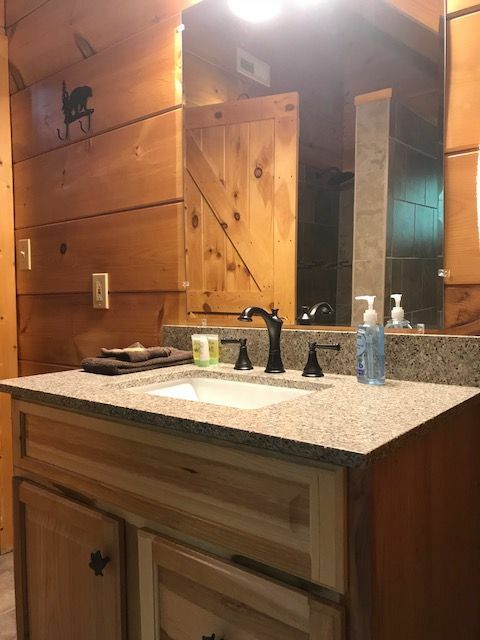 Every cabin I have rented over the years has been very clean! Each time we stay at Maples Ridge the cabins have been very clean. They called the second day to be sure everything was okay and that we didn't need anything! I've already recommended them to some friends. We enjoyed the cabins very much! Great place, would definitely stay again. The cabin was very nice, just a few miles from town. There were other cabins near by, but far enough away not to be bothered. 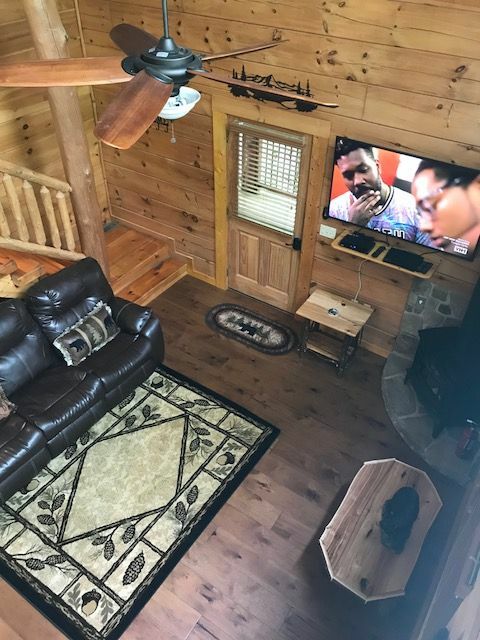 Wow.. perfect cabin.. so clean and just immaculate... thought of all you needs while staying ? Loved every minute here. 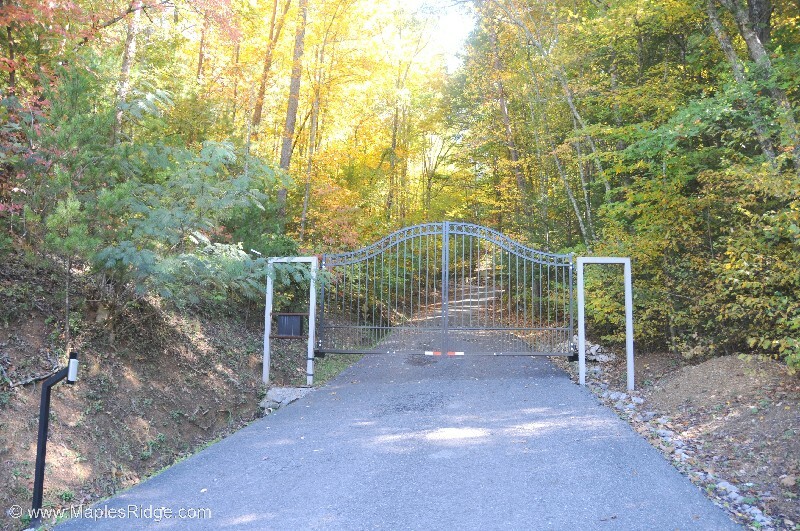 Love the privacy of it all and privacy gate to get in.... easy to get to and close to everything you need. Would stay here again in a heartbeat. Staff so helpful and friendly when needed.. absolutely beautiful!!! Perfect visit We had a great time in the Timber Top Cabin. 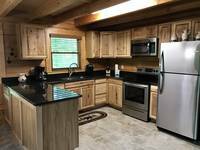 It was newly renovated and everything was clean and accommodating. 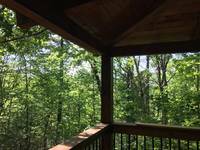 Quiet, porch and isolated enough for privacy, great for early morning coffee break. The bed was comfy and the kitchen was spacious. We would love to return and we highly recommend staying there. Everything was great!! Loved the location. We enjoyed our visit! Everything was great. 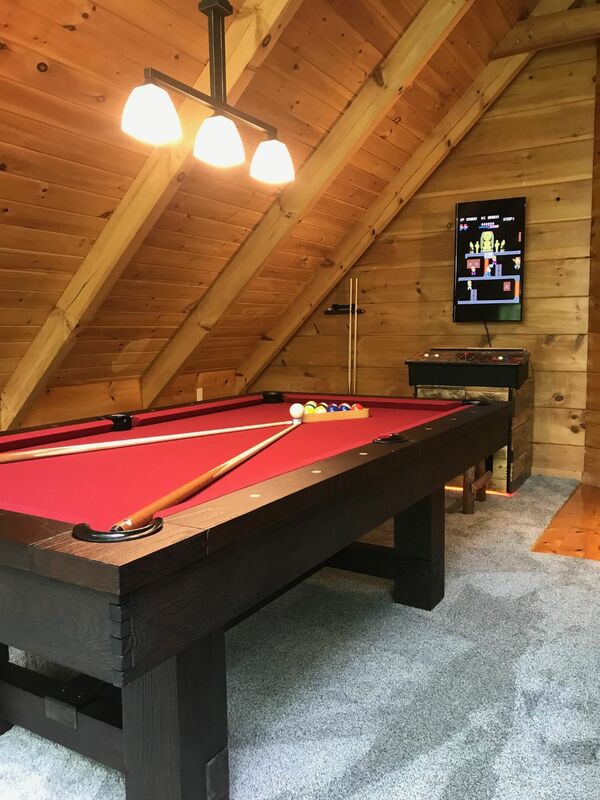 Location was great The boys loved the game room upstairs. Can’t wait to stay again. 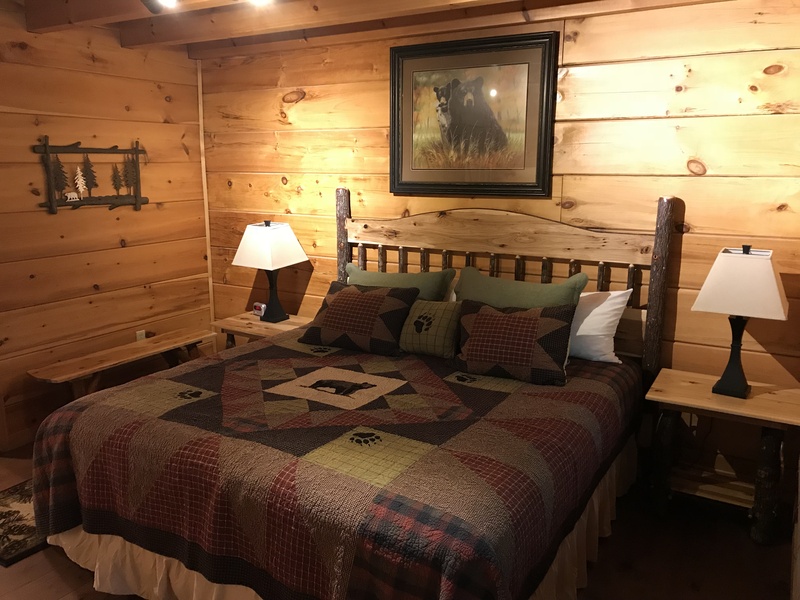 We enjoyed staying in this lovely cabin. The cabin is in a gated area not very far up the hill. 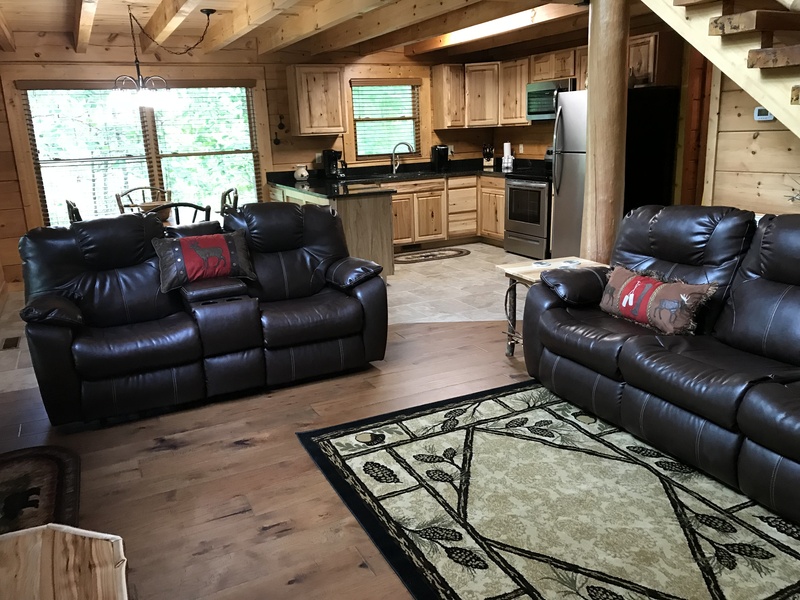 The cabin was clean, convenient and very accommodating to our little fur babies. 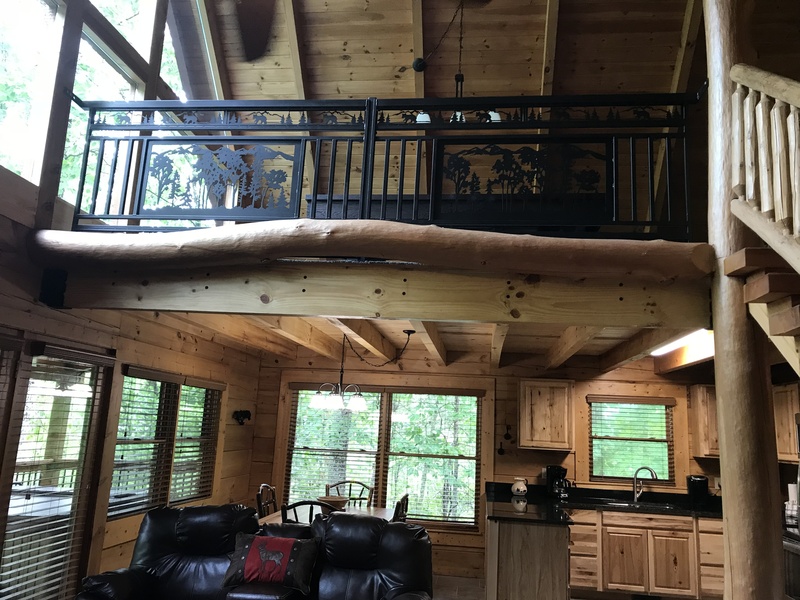 My husband kept saying he would buy the cabin if he could! Lol! The sofas were a welcoming furniture item after staying gone all day. Having a place to put your feet up each night and relax was fantastic. It was unusually cool so we didn't get to use the deck as much as we planned. A unexpected thing was the fence in yard. My dog loved being taken off his leash to wander around. That's a big asset! 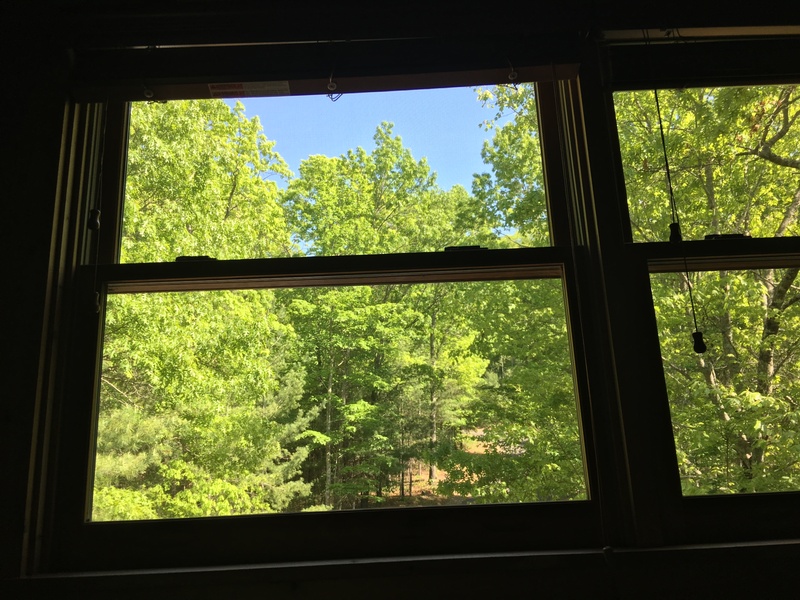 Thank you for sharing such a pretty convenient cabin with us. We will be back. Fabulous, fabulous, fabulous! Very clean, quiet, and cozy with all the amenities!Excellent location! Date of Stay Aug 19, 2017 Absolute bliss! Perfect location! Clean, quiet, and cozy! All the amenities available that one could imagine! Amazing! Highly recommend! Most Amazing Experience !!! 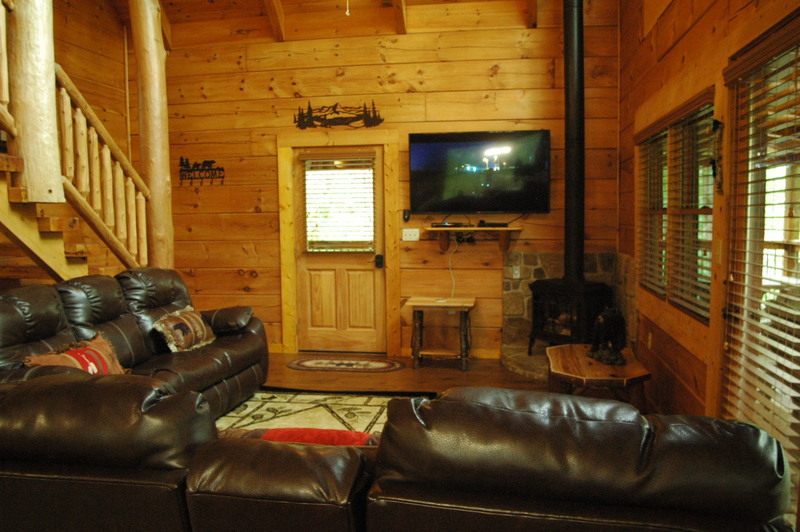 This cabin offers all the comforts of home in a peaceful and serene setting. 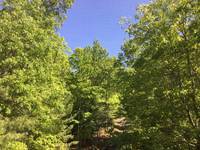 Close to shopping and events in Pigeon Forge, Gatlinburg, etc. yet it was so comfortable almost wanted to just stay in the cabin the entire time. Office staff were definitely focused on their customer/visitor to assure all our needs were met. Will definitely stay again and hopefully for a much longer visit. 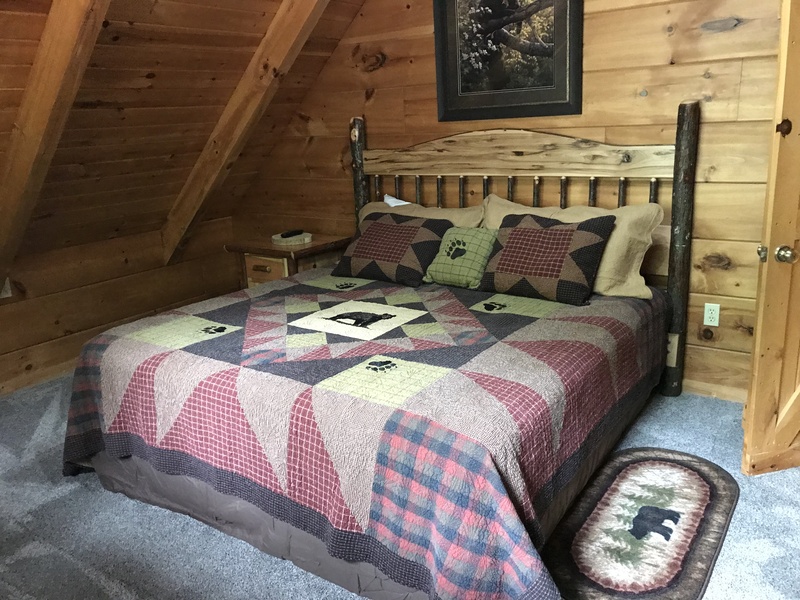 Maples Ridge Cabin rentals is truly a step above the rest! The owners are exceptional and always so courteous. 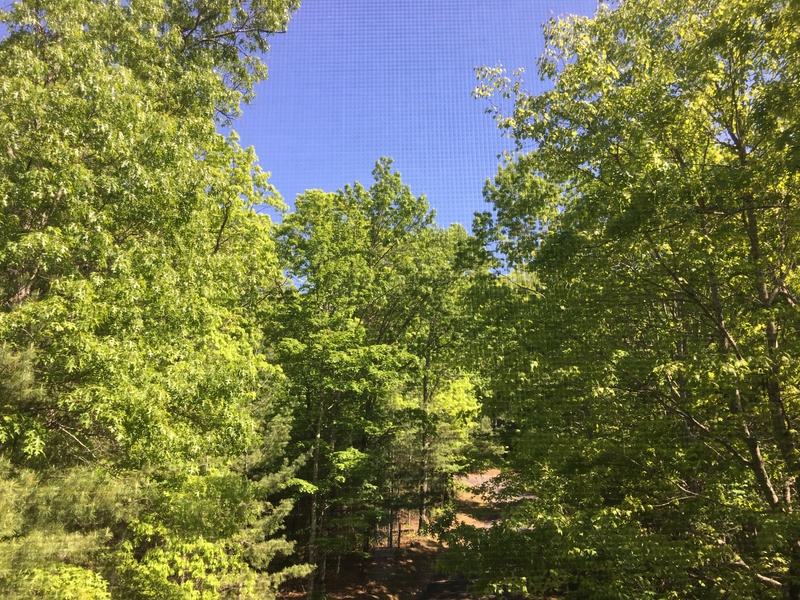 This visit we stayed in Timber Top, a gorgeous 2 bedroom, 2 bath. 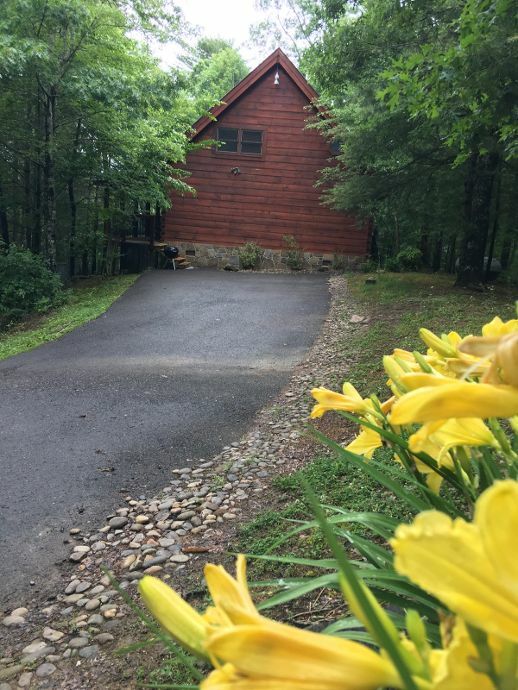 This cabin is perfect for a small family or friends trip. 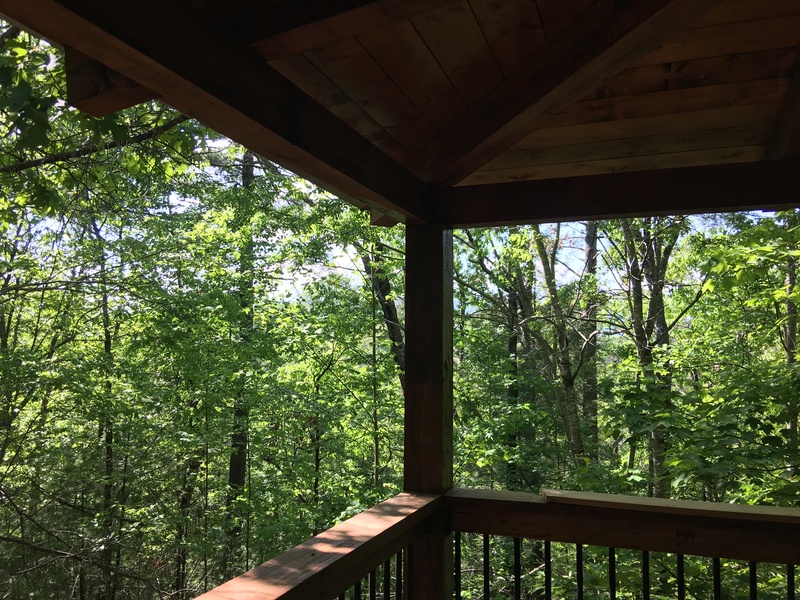 Surrounded by beautiful scenery atop a mountain, one really can feel and see the nature of the smokies. Timber Top is so warm and inviting. The cleanliness of this cabin was superb. The beds are so comfortable and leave you feeling so relaxed and rested. 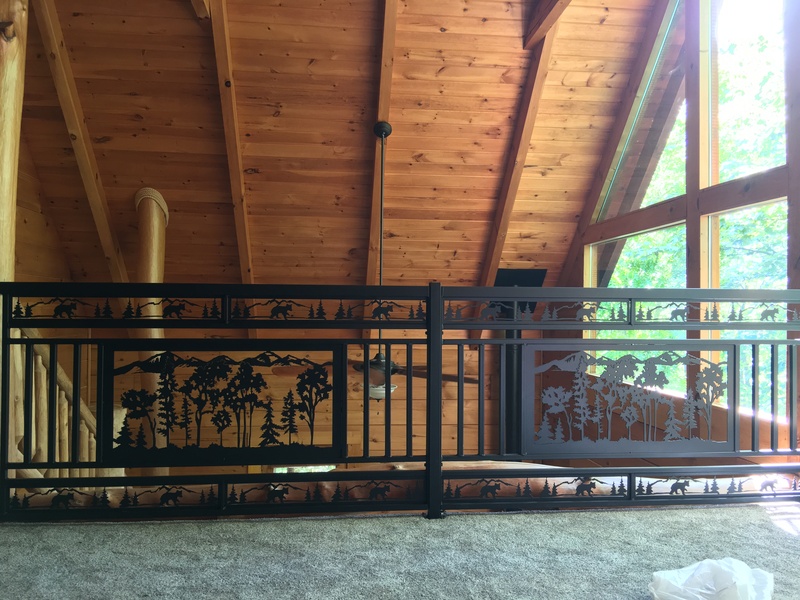 The wrap around porch with rocking chairs creates the perfect atmosphere to sit and take in the fresh mountain air. 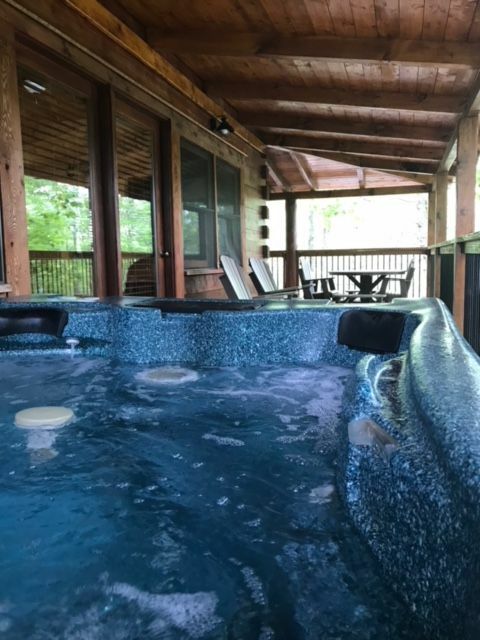 The outdoor hot tube is perfect for a night under the stars after a day of exploring Pigeon Forge and Gatlinburg. 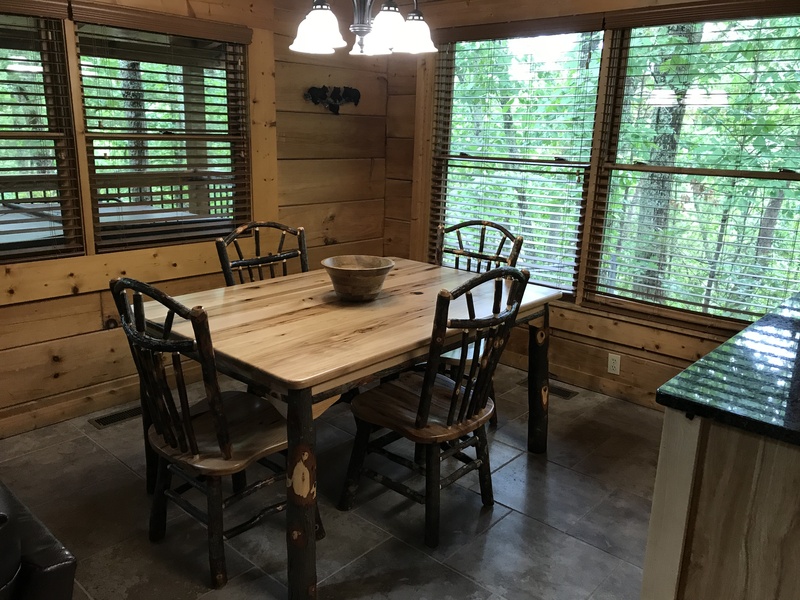 This cabin was perfectly located just miles away from the Pigeon Forge parkway. I would recommend this cabin over and over. 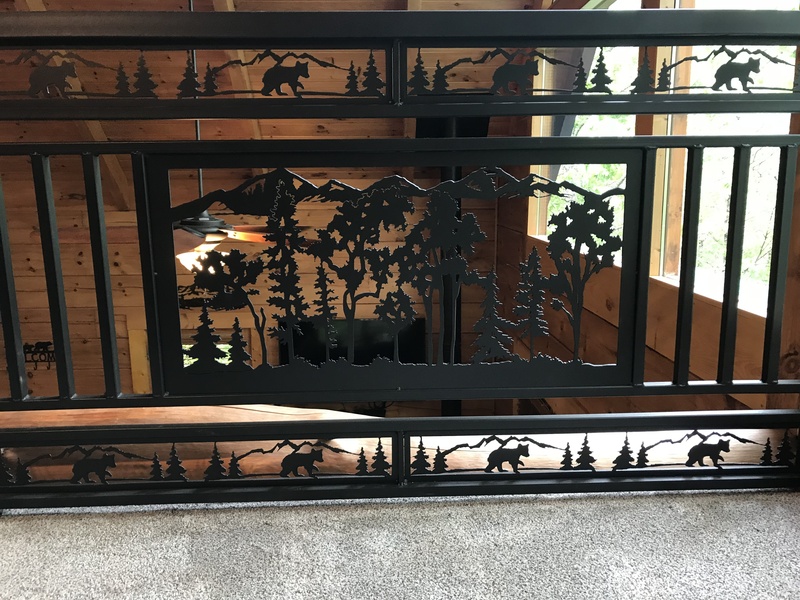 I will definitely be back to stay with Maples Ridge Cabin Rentals. The perfect place to stay. We loved everything about it. My husband and I visited for the weekend for our anniversary. 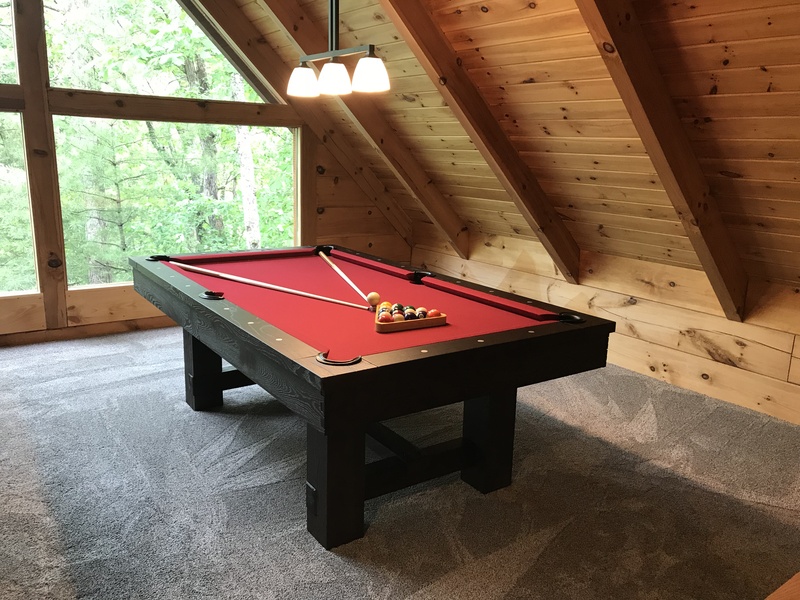 The cabin is great. It is really close to everything. Loved the fact that the cabin is in a gated community. Cabin was very clean and neat. 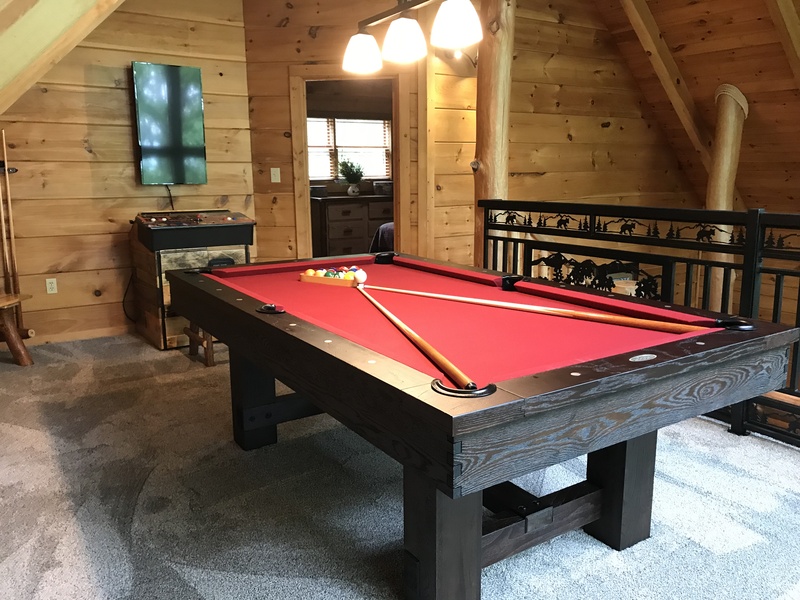 We enjoyed the hot tub and playing pool on the pool table in the cabin. Great quiet get away. Loved the pillows on the king size bed...very cozy! Can't wait to come back again. Our stay in your home was wonderful! We had plenty of room for our family. The house was super clean when we arrived and had everything we needed. 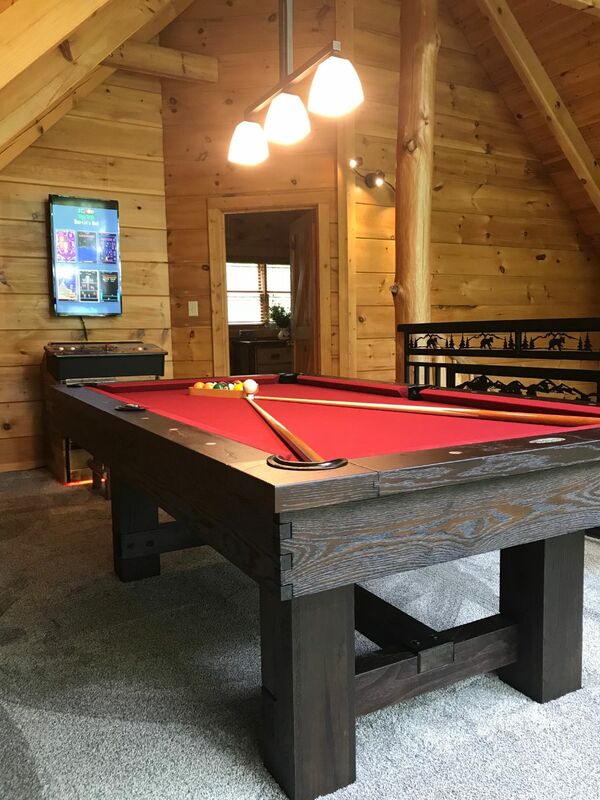 The only issue we had was the downstairs tv wouldn't come on in the game room and 2 pool sticks were broken...we called the office, they came with 2 new pool sticks and showed us how to turn tv on. But those minor things wouldn't keep us from coming back in the future!! We will be back soon!! 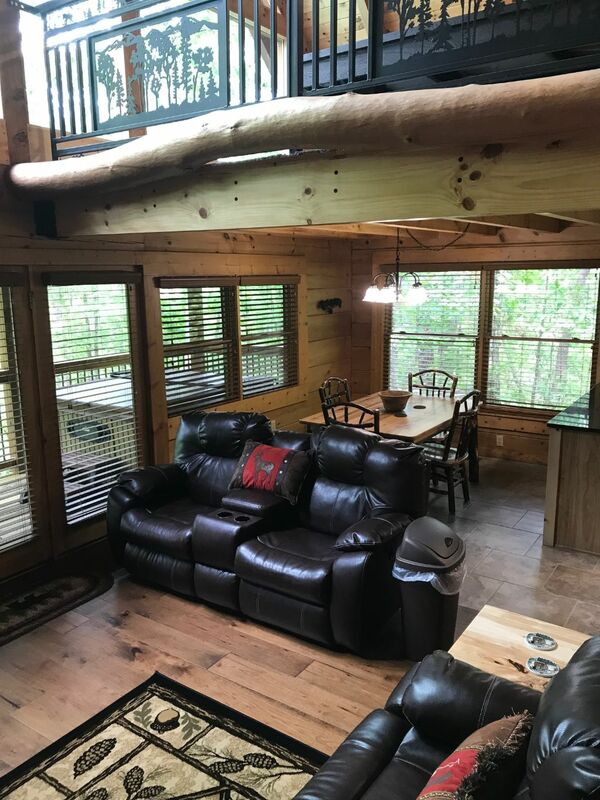 Choosing to stay with Maples Ridge Vacation Rentals is the best decision you will make for your Pigeon Forge vacation! 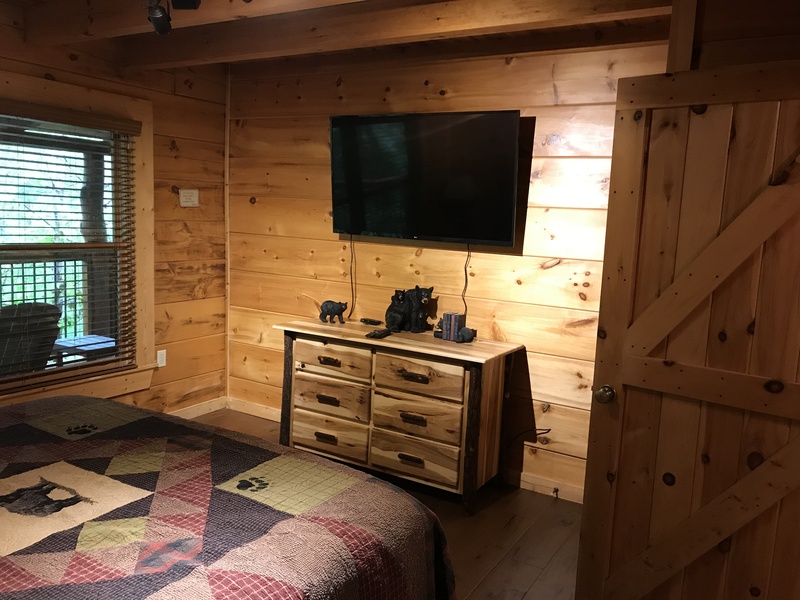 We offer the best cabin rentals in Pigeon Forge ranging from 1-6 bedrooms, so we can accommodate all types of vacation getaways. 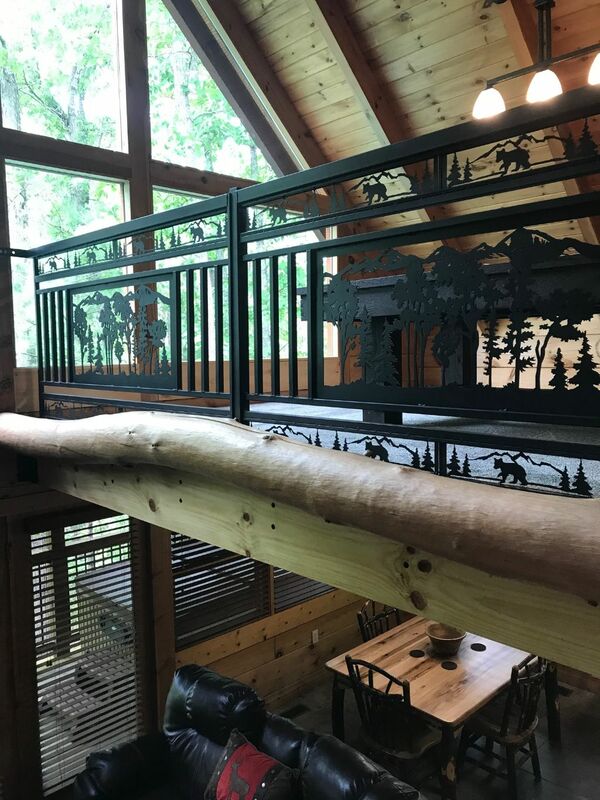 Each of our cabins has a beautiful view of the Great Smoky Mountains, plus they’re in a convenient location - close to all of the great things to do in the Pigeon Forge area. 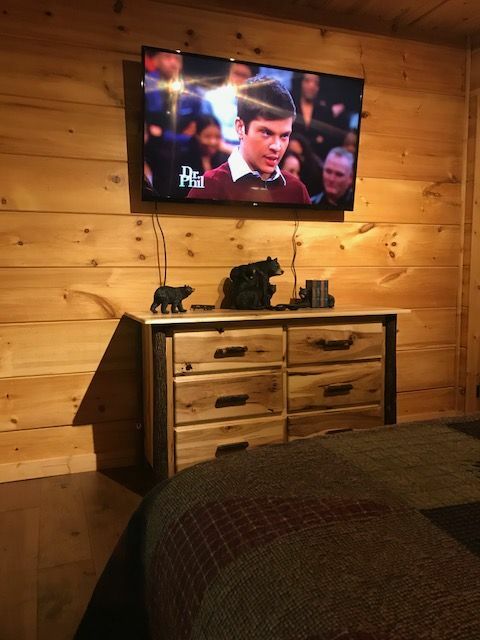 When you stay with Maples Ridge, you can expect affordable cabin rental rates paired with friendly and quick customer service. 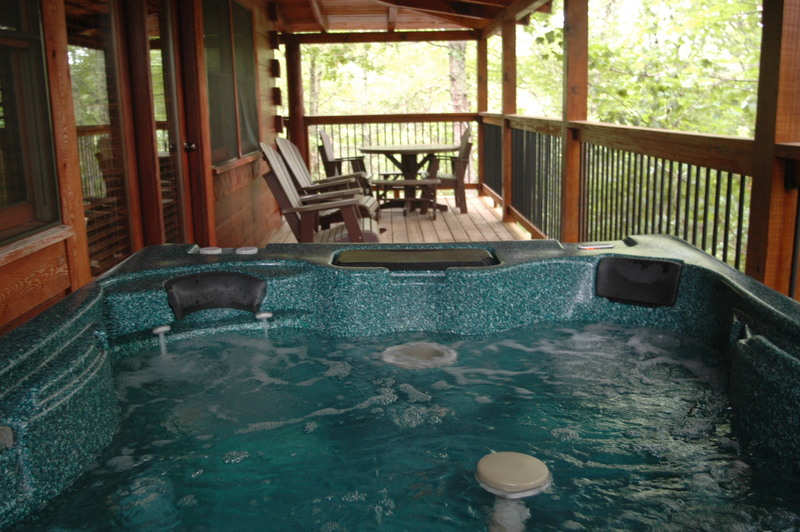 We look forward to having you join us for a relaxing vacation in Pigeon Forge.